The ideal machine for farm fencing, especially on larger farms, this post driver has all the features of Model 1+ with the added feature of a telescopic mast.There is a great deal of mast movement in 4 directions, which means the post can be pulled or pushed in any of four directions, allowing very precise control of the post being driven. The Independent Post Cap allows for much greater hammer impact, even under extreme conditions, without any tendency for the cap to lift off the post. 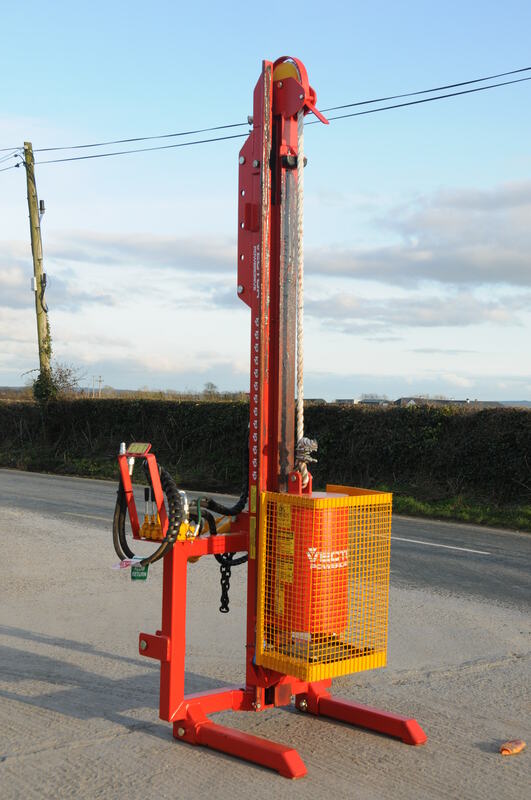 This precise control combined with the 400KG hammer means this is a truly versatile machine capable of driving posts up to 3.3m in height and 375mm in diameter. This is the most popular postdriver used by hire companies as it is easily mounted on a transport trolley thus making delivery no problem.